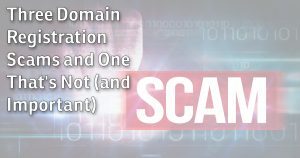 Domain registration is another opportunity for scammers to try and take advantage of you. I’ll cover the most common scams, and one that looks like spam but turns out to be critically important to keeping your domain. 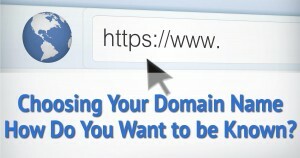 You have a domain, now you need a place to put it. I’ll walk through the process of purchasing domain hosting with a shared hosting provider, and pointing your domain at it. 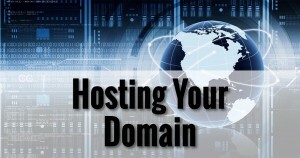 There are many options when it comes to hosting your domain. I’ll review the common alternatives, name a few names, and make a recommendation. There are several places to purchase a domain, but given the importance of your online identity, you want it to be from a reliable source. I’ll walk through the process. 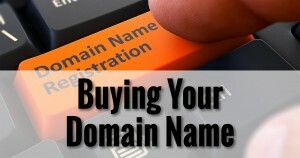 Your domain name is your online identity. Choosing an appropriate one is both incredibly important and surprisingly difficult. It’s worth investing some time and research.